Success in the hospitality industry is all about anticipating the needs of your guests, providing for their unparalleled comfort and making their time with you as tranquil as possible. Well, the same can be said for those who help franchises, owners and managers achieve those stellar results. And from this philosophy has sprung the all-new Project Business Group at Häfele America Co.
As part of a larger, global focus on 360° Comprehensive Project Solutions, the dedicated Häfele America Co. team of sales, support, product and technical personnel exclusively and holistically serves all aspects of the project business—from product development to planning and specification, implementation, operations and after sales support. The team is made up of veteran Häfele employees, hospitality industry experts and newcomers who are committed to the success of every project. To lead the division, Häfele has brought in Ryan Douglas, who most recently served as Vice President of OpenKey. With more than 15 years of experience in a variety of progressively responsible hospitality industry roles, he was a natural fit as the division’s first director. Leveraging the global resources, product portfolio and experience of the Häfele group as a whole is seen as a key differentiator for the U.S.-based Projects team. Or, speaking in industry terms, this is concierge-type service tailor-made for any and all hospitality-based architects and designers, managers and owners. 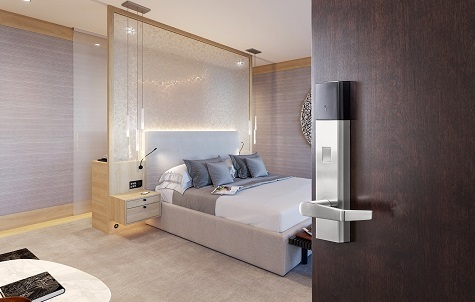 Additional details on Häfele’s product range for the hospitality industry—including electronic access solutions, LED lighting, sliding door hardware and more—can be found at Häfele’s website.